On April the 2nd in 1912; the White Star Line company’s Titanic left Belfast on its maiden voyage to New York City. It would return to Ireland a second time after docking at Southampton, England and Cherbourg, France when it would finally dock at Queenstown (Cobh) before leaving for New York in America. The tale is infamous for the lives that were lost on the boat touted as unsinkable. The boat carried 20 life boats, enough to provide accommodation for only half of the passengers and crew with the real purpose being to help other boats that might be in peril in the ships proximity. Striking an Iceberg on the 14th of April the collision caused the ship to tear apart. An interesting aspect of the disaster was that the ship sunk so quickly. According builders of the Titanic, the ship should have been able to stay afloat for up to three days. Scientists in the 1990s however were to discover clues in the sunken wreck of how such a disaster occurred. The discovery of the hull led to drawing conclusions from the misuse of materials and various design flaws which caused such a catastrophe. On the evening of the collision ships were warned with several ice warnings in the area. 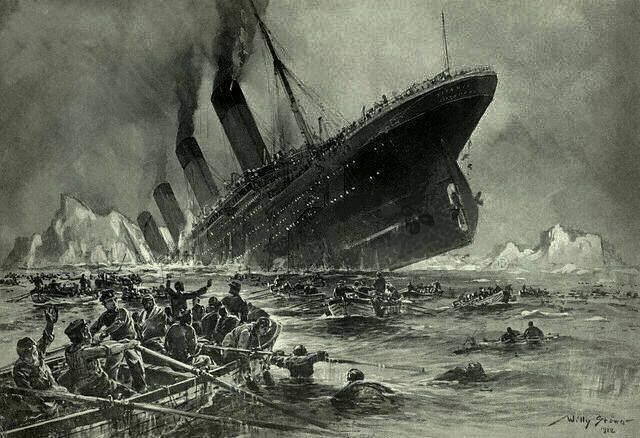 The Titanic however did not slow and only observed the large iceberg ¼ of a mile off, too close to allow time for the ship to alter course and 300 feet of the hull was damaged. The event is an interesting case study for budding engineers. The collision caused the steel hull and iron rivets to fracture because of the incredibly low temperatures, high sulphur content and the sheer impact from the boat’s mass. On the 2nd April 1912, thousands lined Belfast Lough to proudly watch the RMS Titanic – ‘the new wonder of the world’ launch, but the RMS Titanic’s true impact on history would not be design but response. In 1914 a predecessor of the ‘International Convention of the Safety of Life at Sea’ was passed, prescribing a number of lifeboats and emergency equipment. Later these regulations would be established in 1948, with the Convention on Safety of the Life at Sea. Today, SOLAS now contracts over 160 States to follow the minimum safety standards of construction, requirement, and operation. The RMS Titanic is an unsettling tale but much can be learnt. In 2012 the Titanic Belfast was opened to the public. This massive visitor attraction has created a dynamic maritime destination to preserve the heritage of Belfast and Ulster for generations to come. It extends from the popular story of a doomed ship to the roots of Harland and Wolff; once the control centre of the largest shipyard in the world. Over the last 10 years, the Titanic Foundation has helped develop the Titanic Belfast, which has welcomed more than 4 million visitors since 2012. The charity was set up in 2007 to preserve and promote Belfast and Northern Ireland’s maritime and industrial heritage.